The road from Ohrid to visit Skopje is well-marked and was very easy to drive through. The tolls along the motorway to Skopje are paid at different sections of the road so we were asked to pay about 0.50 euro four times along the same road. The city did not initially seem as confusing or as chaotic as many other capital cities. Our apartment was located in a drab grey soviet-era building very close to the city centre. The inside was beautifully decorated providing a complete contrast to the outside part. Perfectly located with a funky, clean, modern interior, this was most likely the apartment we liked best during the whole trip and it only cost 20 euro a night! Dinner was a mouth-watering affair. A large selection of local appetizer dishes (all of which were recommended by the restaurant staff) along with some local wine and dessert proved to be a perfect conclusion to our first evening in Skopje. The walk to the restaurant, through some darkish, rather empty roads, felt very safe. So many monuments in one photo! 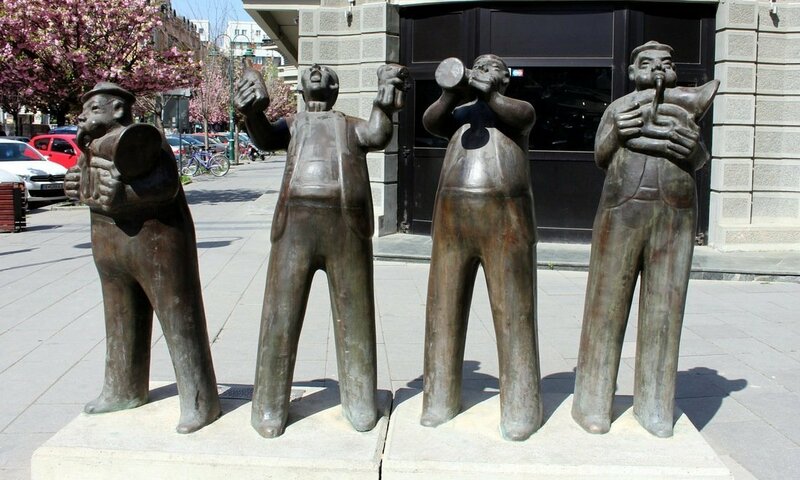 Skopje is often described as peculiar but it actually looks and feels a little crazy due to a very high concentration of different, often unrelated monuments located all around the capital. It is possible to take a single photo that includes dozens of monuments, all of which are new, mostly a bit weird and very out of place. 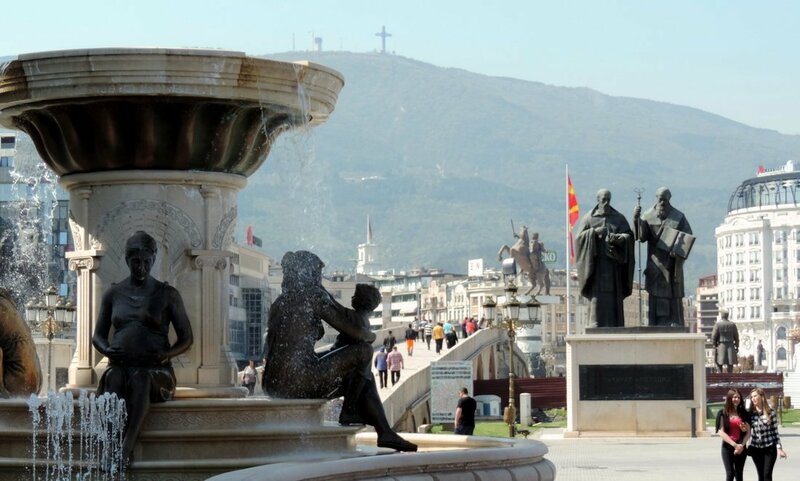 Skopje 2014 was a project aimed at improving the city’s image whereby several new buildings and monuments were erected. 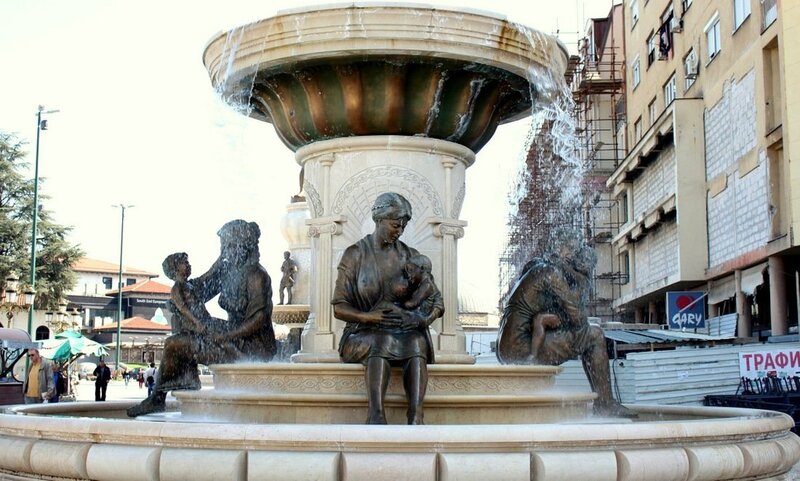 From fountains depicting breast-feeding women to marble statues to an arc de triomphe, the newly erected objects mostly resulted in making Skopje look artificial (think kitsch). Truthfully we enjoyed walking around and marvelling at all there is to see, but the project which cost somewhere between 80 to 500 million euro (there’s a lot of speculation about the actual sum) has angered many Macedonians who claim that the money could have been put to better use considering the country’s high poverty and unemployment rates. 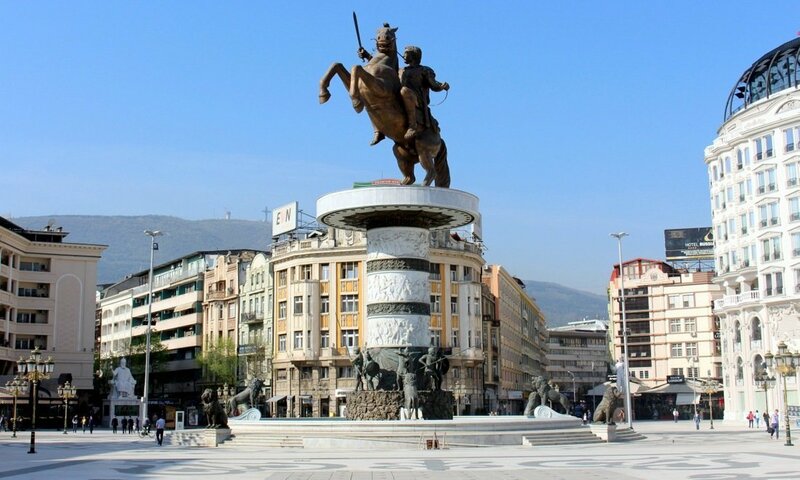 A fountain with a massive statue of Alexander the Great on a horse lies in the centre of Macedonia Square. 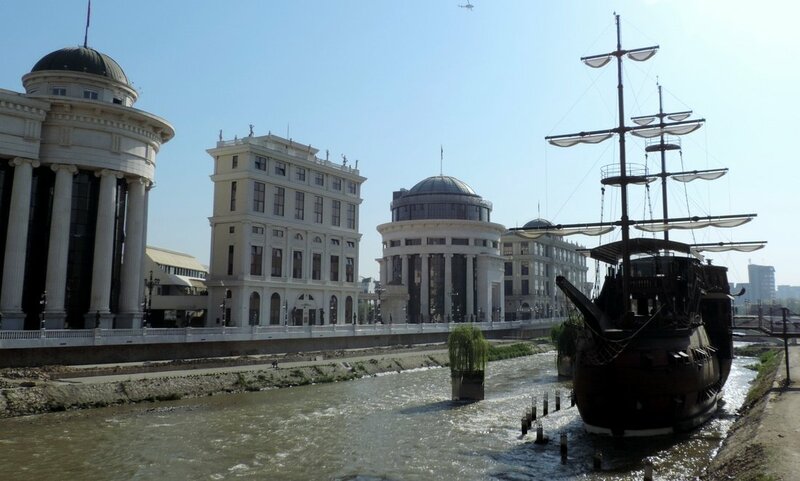 An old stone bridge and a new “art bridge” (packed full with statues of notable Macedonian artists and musicians) lie across the Vardar river opposite the square, themselves leading to more statues and more monuments. There’s even a replica of an old galleon ship in the river! We were seriously engrossed by it all. 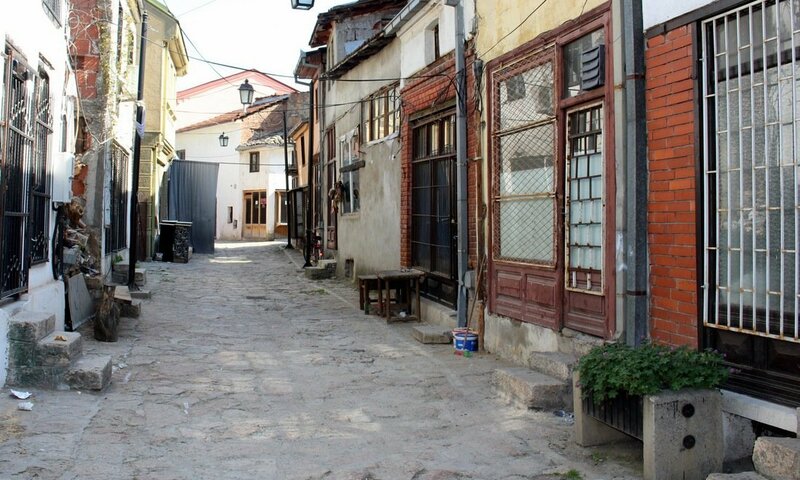 The Old Bazaar of Skopje (which connects to the newer part of the city via the Stone Bridge) is in contrast, a more authentic part of Skopje being full of Ottoman mosques and hammams as well as a clock tower and a church. 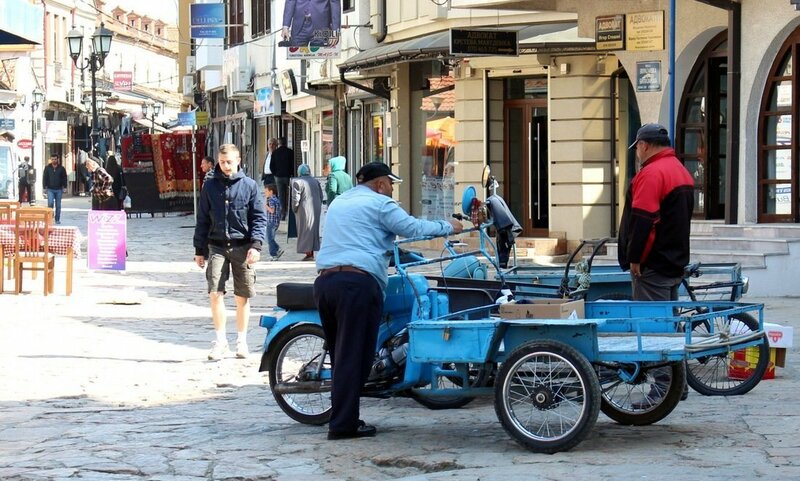 Exploring the shops and narrow roads of the bazaar is an interesting experience and several cafes serving strong coffee provide a good resting place. As we stopped to buy water at the bazaar, a very nostalgic shopkeeper explained to us how the quality life in Tito’s Yugloslavia was so much better for him than that in new Macedonia where he felt he had no identity. 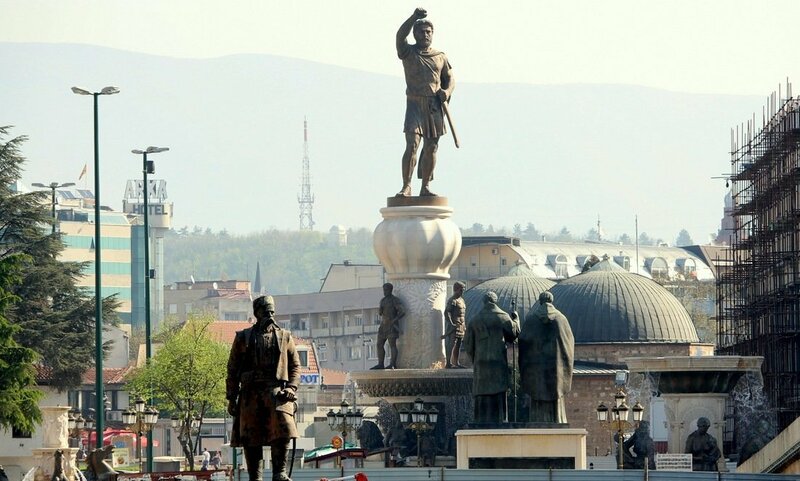 He recounted stories of his childhood and family life explaining how he felt that the old Yugoslavia loved its people whilst Macedonia does not and how the standard of living has nose-dived after the independence of Macedonia. After spending a solid hour listening to him and his stories of the past, we fell into a rather pensive mood with the realization of how little we knew about how the fall of Yugoslavia’s regime is actually perceived by some of those who experienced it. 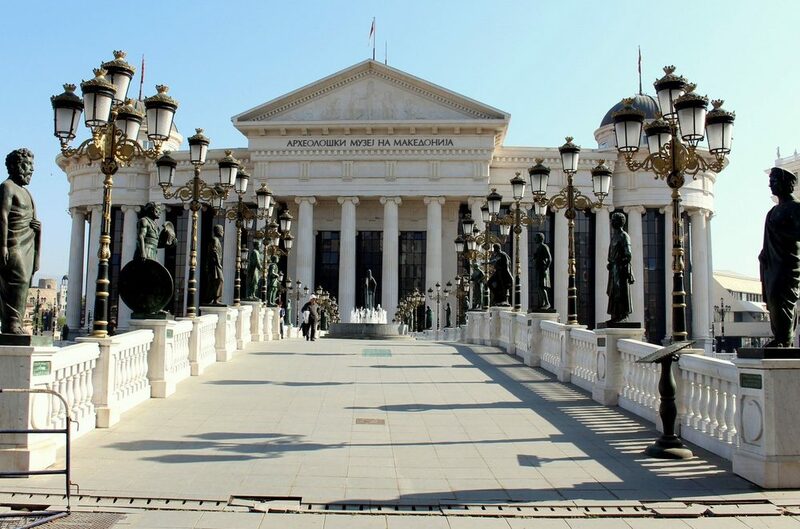 I get the feeling that Skopje can sometimes be difficult to grasp especially because it’s authenticity is hidden behind a rather artificial image, however we actually found its strangeness alluring and with all its quirks, we thought that the city was very welcoming and friendly. 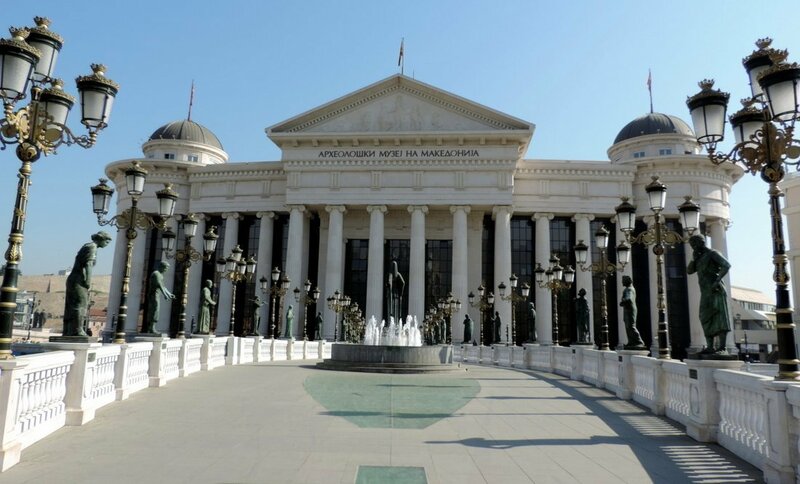 Is that a good enough reason to visit Skopje?